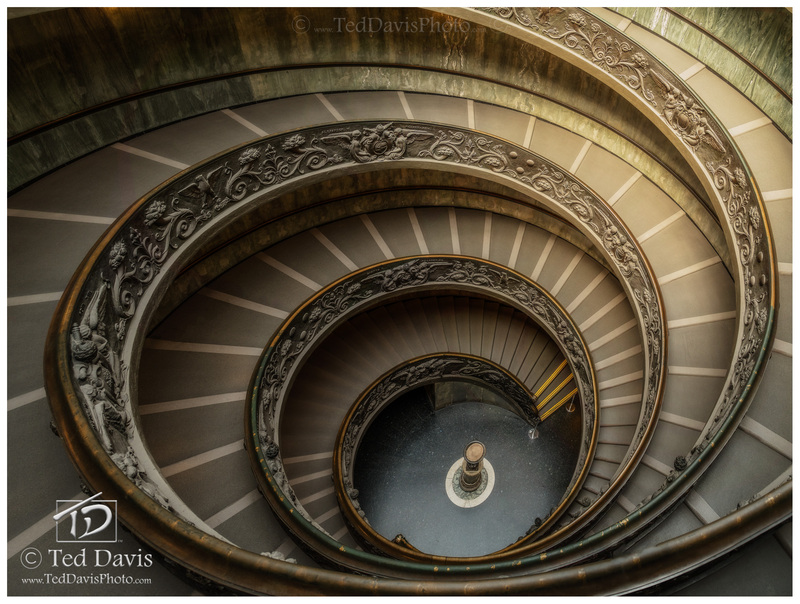 Amid the priceless statutes, frescoes, tapestries, and countless other pieces of fantastic artwork in Vatican City, is a more modern piece – a double helix staircase designed by Giuseppe Momo in the 1930s. Looking down the spiraling staircase, I fell in love with the deception of symmetry. Waiting patiently for a bit more natural sunlight to filter through the overhead canopy, I set up my shot to accent the deception of symmetry – to capture more than a nice shot, one that will evoke thought and feeling. Photo © copyright by Ted Davis.